Home Biology Health Humans Science Cancer Cure Comes Closer To Reality? 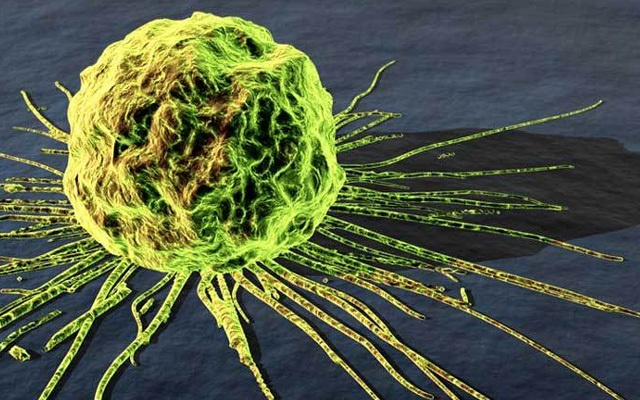 Cancer Cure Comes Closer To Reality? Researchers at a British company Immunocore have developed a way of harnessing the power of the immune system's natural-born killer cells: the T-cells of the blood which seek out and kill invading pathogens, such as viruses and bacteria. "Immunotherapy is radically different," said Bent Jakobsen, chief scientific officer of Immunocore. "It doesn't do away with the other cancer treatments by any means, but it adds something to the arsenal that has one unique feature - it may have the potency to actually cure cancer," Jakobsen said. The company has found a way of designing small protein molecules, which it calls ImmTACs, that effectively act as double-ended glue, 'The Independent' reported. ImmTACs are effectively independent T-cell receptors that are "bispecific", meaning they bind strongly to cancer cells at one end, and T-cells at the other - so introducing cancer cells to their nemesis, researchers said. "What we can do is to use that scaffold of the T-cell receptor to make something that is very good at recognising cancer even if it doesn't exist naturally," said Jakobsen. "Although T-cells are not very keen at recognising cancer, we can force them to do so. The potential you have if you can engineer T-cell receptors is quite enormous. You can find any type of cell and any kind of target. This means the approach can in theory be used against any cancer, whether it is tumours of the prostate, breast, liver or the pancreas," he said. The key to the success of the technique is being able to distinguish between a cancer cell and a normal, healthy cell. Immunocore's drug does this by recognising small proteins or peptides that stick out from the surface membrane of cancer cells, the report said. Researchers said all cells extrude peptides on their membranes and these peptides act like a shop window, telling scientists what is going on within the cell, and whether it is cancerous.